The best security system incorporates all types of options for seeing and hearing people who may be at a home, whether they’re trying to cause a problem or not. It helps to deter crime, but it’s also nice for a homeowner to simply know who’s at the door, too. To find that out, it’s best to have a doorbell camera — these can capture plenty of information, and let a homeowner identify the person at the door before they open it to a stranger. 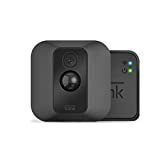 Overall, these cameras are an important part of any security system and can provide the quality and value a homeowner wants and needs. But they have to be mounted properly or they aren’t going to provide what’s really needed to a homeowner who has them — and that can render them effectively useless. Rather than take the chance on a doorbell camera not providing what’s needed for a homeowner’s security, it’s best to follow the installation and operating instructions carefully. That includes the mounting height for the doorbell camera. The vast majority of security features have standard installation heights and other requirements. With that in mind, the doorbell should be mounted at the same height a typical doorbell would be mounted. Many homeowners think the doorbell camera has to be mounted higher so it will get a good view of the person’s face, but that’s not how the technology works. 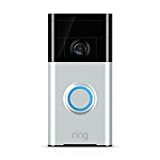 The camera is specifically designed to be mounted at doorbell height and still pick up the face of the person who’s at the door with ease and simplicity. It’s a great way to make sure the person at the door can be easily seen, without putting the doorbell in an odd spot. Not only does an oddly mounted doorbell cause some pause and confusion, but it also clearly gives away the fact that the doorbell has a camera in it. That’s not something a homeowner generally wants to advertise, so it’s much better to choose the option of mounting it where a typical doorbell would go. That way there’s no problem with the height of it, and it will capture faces without any issues when mounted and working correctly. With the right security system, a homeowner can see the entire area where protection is needed. That means they can keep their home protected, and can also have a higher level of peace of mind that can really be appreciated. It’s valuable to be able to see the area where people may be moving around, but homeowners also need to know if someone is entering their home. That can be handled through door and window sensors, along with glass break sensors and motion detectors. When coupled with a good doorbell camera and strong security panel, a homeowner can really feel good about their entire security system. Not every company will offer homeowners everything they want, and when they don’t provide customers with what’s needed they won’t be the company of choice. Homeowners know what’s important to them, and the right security company will meet their needs.